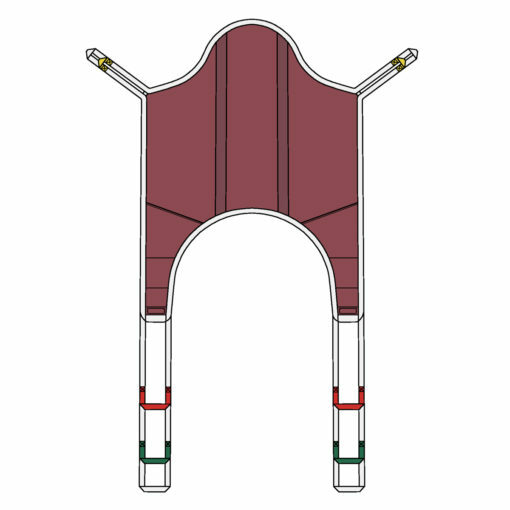 The Continental Universal High Replacement Sling is a very supportive sling and features comfort padding to the leg sections and removable stiffeners to the back section. It is available in either a polyester or a soft mesh material. This sling comes as standard with a built in head support and a waist support channel – a detachable elasticated waist support can be purchased as an optional extra. The detachable waist supports are available in a variety of sizes. 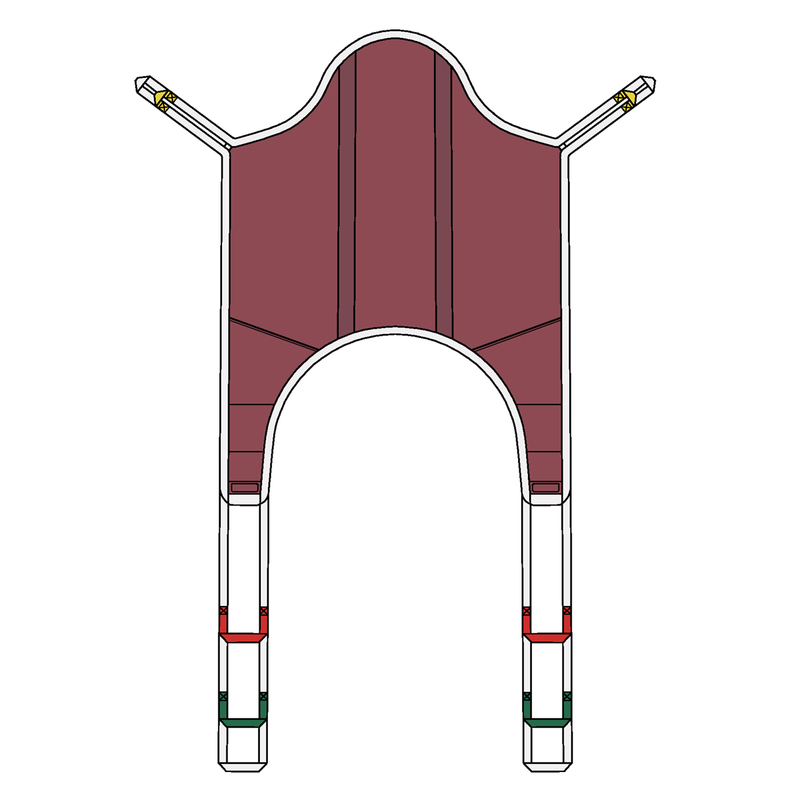 The sling has woven labels detailing safety information including, SWL, washing instructions, product codes, size, unique serial number and date of manufacture.